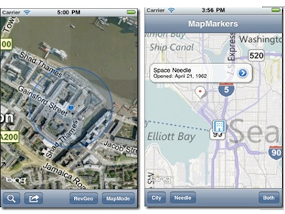 Microsoft Developer Want to Leave Google Maps ~ " World Information "
Jakarta - Microsoft wants developers to use Bing Maps on the iPhone and iPad their application. To that end, Microsoft is providing a special device to help developers. They say this is one another example of how Microsoft is working to protect itself in the mobile realm by supporting the popular Apple platforms. Microsoft never even tried for iPhone developers entering their applications to the Windows platform Phone 7. Reported by Business Insider and quoted on Friday (05/06/2011), Bing has had an application IOS since 2009. And earlier this year, Microsoft released its first Office application for the iPhone. Well last month, Microsoft also released an application for the iPad Bing who looks like a want to interfere with Google Maps. Software Development Kit (SDK) Bing new IOS, enabling iPhone application developers using Bing Maps service and other features, including a list of search locations, routes and directions.